Hey Hey, Do you remember my color, I mean design scheme for this paper pieced series? If not, read about it here. Following the theme for consistency, this is my February block. I am really loving how these are turning out. 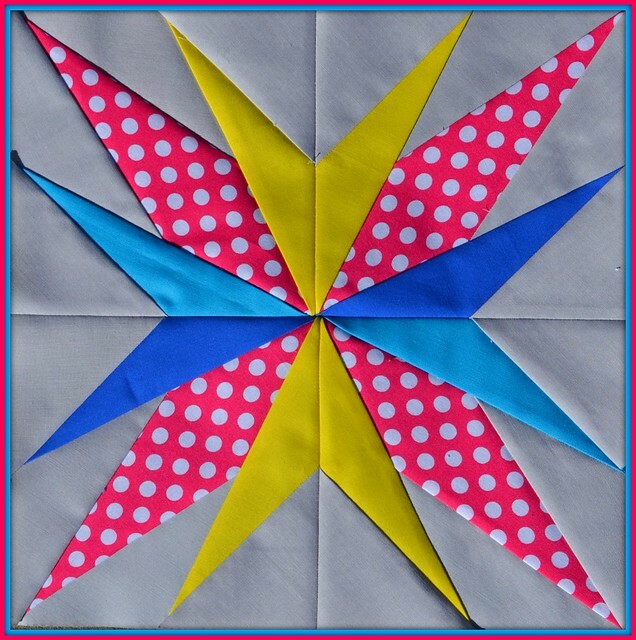 If you would like to join in on this paper pieced Lucky Stars block of the month, you can still sign up, just head on over to Elizabeth's for additional details!